Dr. Dietrick has relocated! His new office is at 14321 Northland Dr, Suite 1. 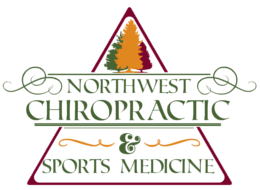 Here at Northwest Chiropractic and Sports Medicine, we believe that no matter your stage of life, everyone should live healthy, active lives. You are the person who best knows your body and health. For this reason, our treatment approach will always be centered on you, focused on providing the right amount of care. We are devoted to helping you move better so you can outperform at work, play and life! Our company believes in the integrity of this community and we care about the well being of its members. As such, we strive to provide excellent care at affordable rates. I have had lower back problems on occasions and have used chiropractic services before. I had significant relief from just one session with Dr. Dietrick. I had the opportunity to meet James, when in school. He was a mentor to me as a student as well a supervising Doctor in the Masters program. James has great compassion, as he put up with me for so long and great skills that I hopefully have learned from him. I fully recommend him, even from Canada! I highly recommend Dr. Dietrick. He is thorough with his examinations and dedicated to patient care. He has helped treat my low back and neck injuries. If you are looking for a great Chiropractor, Dr. Dietrick is for you!